I'm over-the-moon excited to share my latest housewares and tabletop collaboration with Split-P with you! Our collection, "Anatolia" will take you on a journey to Turkey. 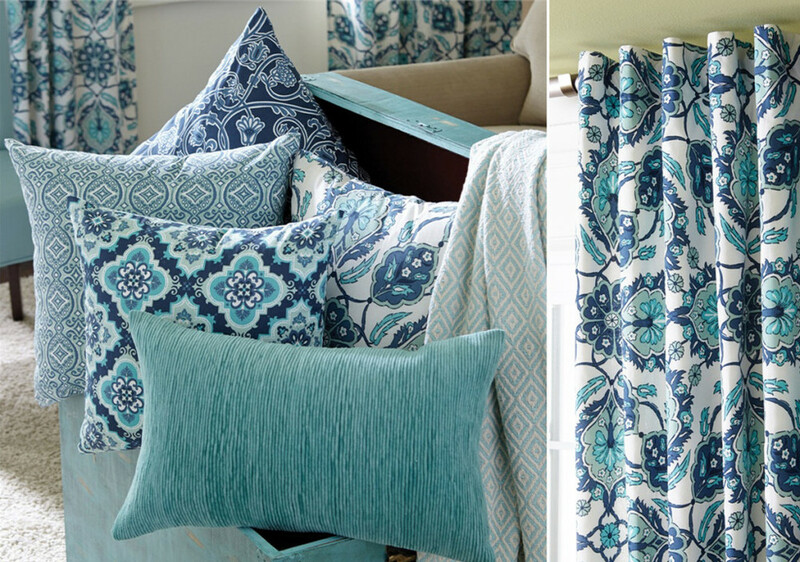 Inspired by historic Turkish tiles, this collection infuses the home with a range of gorgeous blues and intricate pattern mixing. 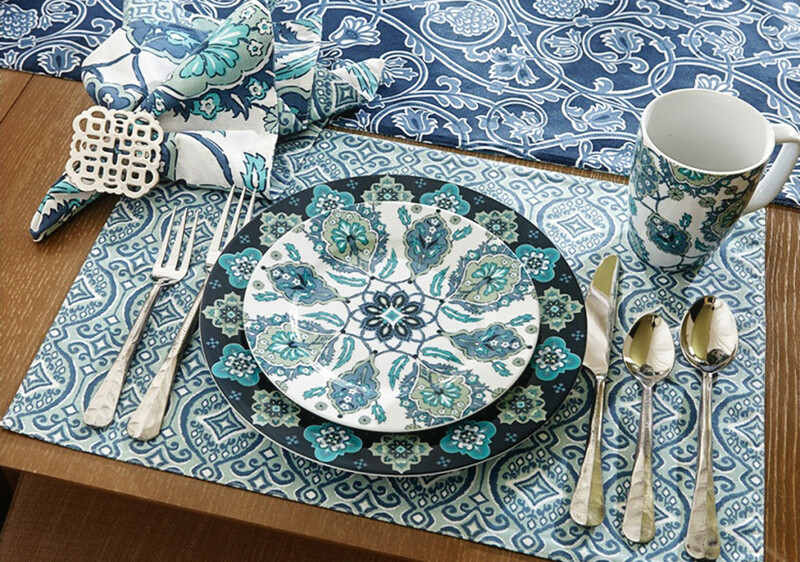 The Turkish and tile-like theme complimented by the range of blues is such a hot trend and perfect timing for Summer! I absolutely enjoy creating an eclectic collection of patterns that can all work together for a unique and exquisite look! Our "Anatolia" collection contains tabletop, mugs, napkins, place mats, table runners, curtains, pillows, and more! If you own a store and are interested in placing a wholesale order, Split-P is having a "Mid-Year Dating Program" complete with special offers! Ordering is taking place now and ends on July 31, 2014.Shipping for these orders begins July 1st and ends September 15th. Be sure to stop by the Split-P showroom in Atlanta in July to see this collection in person! If you are a manufacturer or Licensee - this is an excellent example of collaboration at it's finest! Please contact my agent MHS Licensing for inquiries on how we could work together! I hope you enjoy this sea of blues and eclectic mix of patterns!